The Shiloah (Silwan) village south of Jerusalem's Old City dates back to Biblical times. Water from its spring was used in the Jewish Temples. Jewish royalty was buried in its caves with Hebrew inscriptions naming the deceased. Over the centuries the hill was inhabited by Christian monks and Arab families. 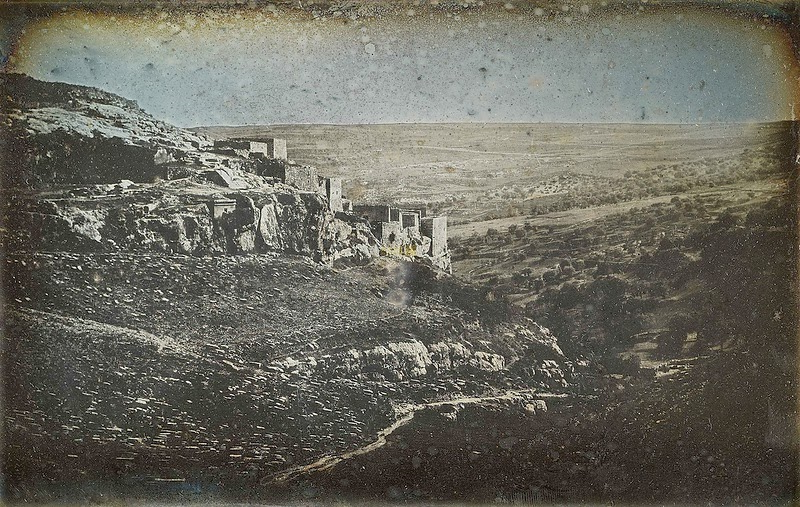 Below is one of the first photographs taken in Palestine in 1844 showing Silwan's small size. It was taken by Girault de Prangey, a student of the inventor of photography, Louis Daguerre. View more of de Prangey's photographs here. Many of his photographs are now online at the French National Library. The 3,000 Maison Bonfils photographs from the Fouad Debbas Collection in Beirut digitized by the British Library have the barest of captions -- with the exception of one album with lengthy English annotations. The first photograph above provides an example. 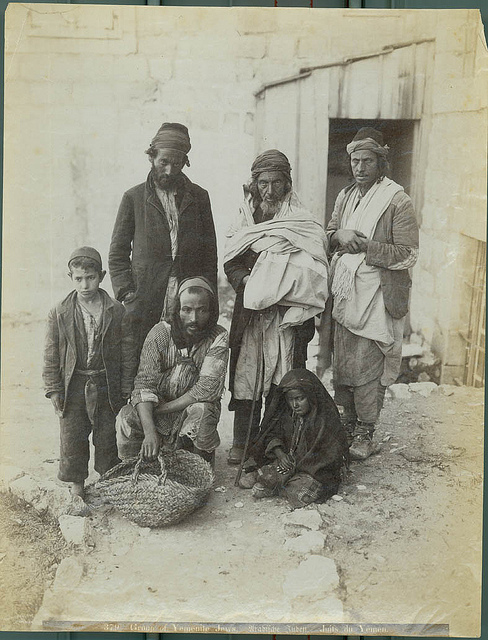 It describes the Yemenite Jewish community that moved into the Shiloah village in the 1880s. Below is the handwritten caption. 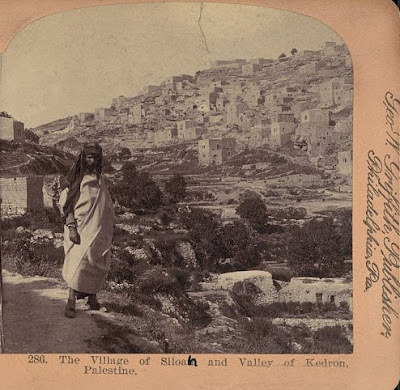 The caption on the photograph reads, "The village of Siloam on the east bank of the Kidron Valley. The Pool of Siloam is opposite to the village on the west bank. The inhabitants are Mohammedans except at the extreme south (right hand of picture) where the Yemenite Jews live in a small colony of tiny stone buildings as shown in a long low patch of white." On the right side of the picture, adjacent to the Jewish housing, the album owner wrote, "The Yemenite Colony." Photographers of the 19th century focused their lenses on the Yemenite residents, especially the photographers from the American Colony where the Yemenites' arrival in 1882 was viewed as the "Gaddites" returning home and as a messianic harbinger. We had the privilege of providing an essential detail to the Library of Congress' picture in its archives of the "village of Siloah" (circa 1901). The man, we explained after consultation with Yemenite historians, is a Yemenite Jew, originally from Habani in Yemen. He was probably among the residents of Shiloah. The American Colony photographers took scores of pictures of Yemenite Jews and helped provide food and shelter to the poor immigrants. Colony caption read "Group of Yemenite Jews"
their homes. Today, Jewish families have returned to Shiloah.